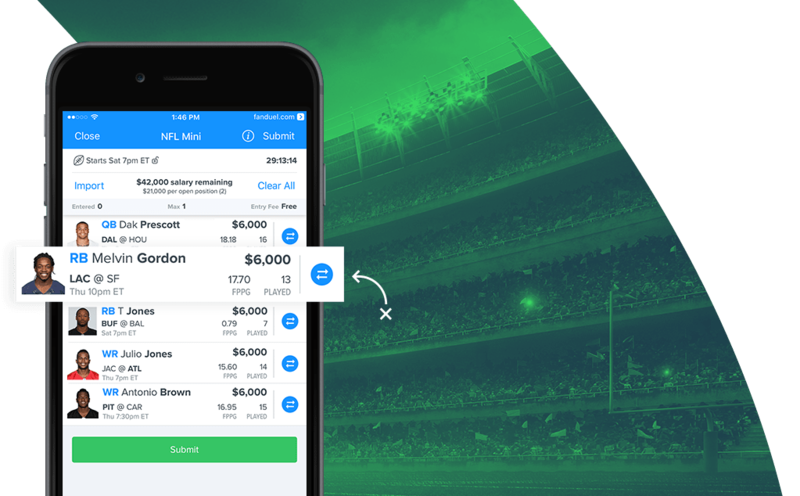 This season, we’re excited to introduce FanDuel Mini, our newest contest format. In a Mini NFL contest, you pick just 5 players — one QB, two WRs, and two RBs. But don’t let the smaller rosters fool you, there’s nothing mini about our payouts. 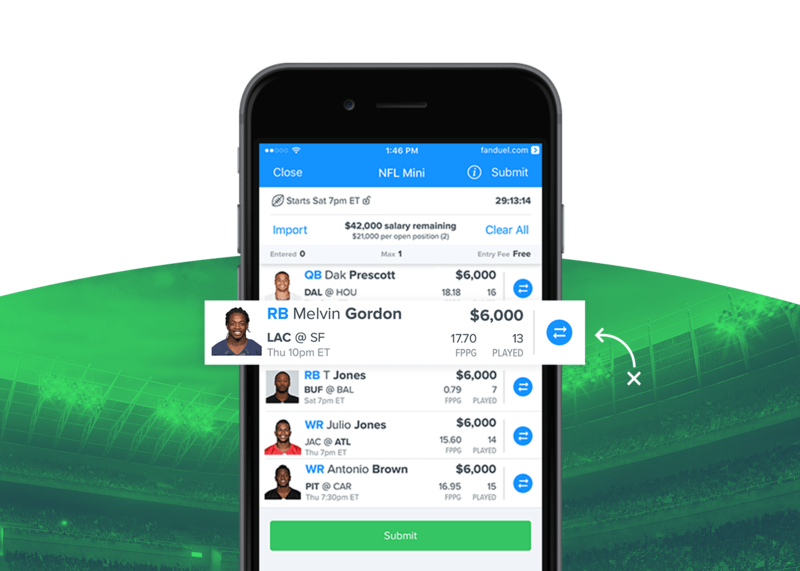 FanDuel Mini comes in two styles — Mini and Mini Unlimited. In a standard FanDuel Mini contest, you pick five players and stay within the salary cap. Think of it like a smaller version of a regular FanDuel contest. But in a Mini Unlimited contest, every player is priced so that there are no salary cap restrictions, meaning you can fill out your rosters with any combination of players you want. Find both Mini and Mini Unlimited contests under the NFL Mini tab in the lobby. Pick 5 Players. No salary cap restrictions. 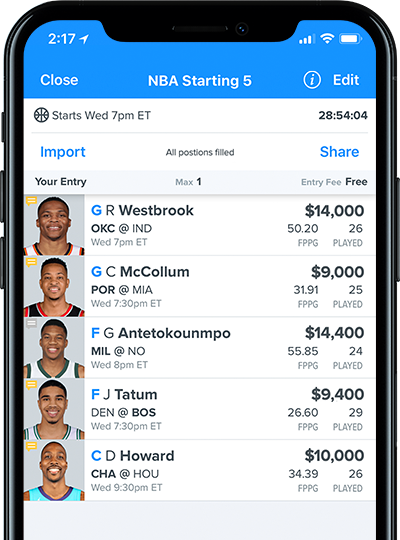 We’re launching a brand new way to play FanDuel fantasy Basketball. In Starting 5 contests, the positions are the same as real basketball — G, G, F, F, C — so it’s even closer to the game you love. And smaller rosters make it easy to play on the go. 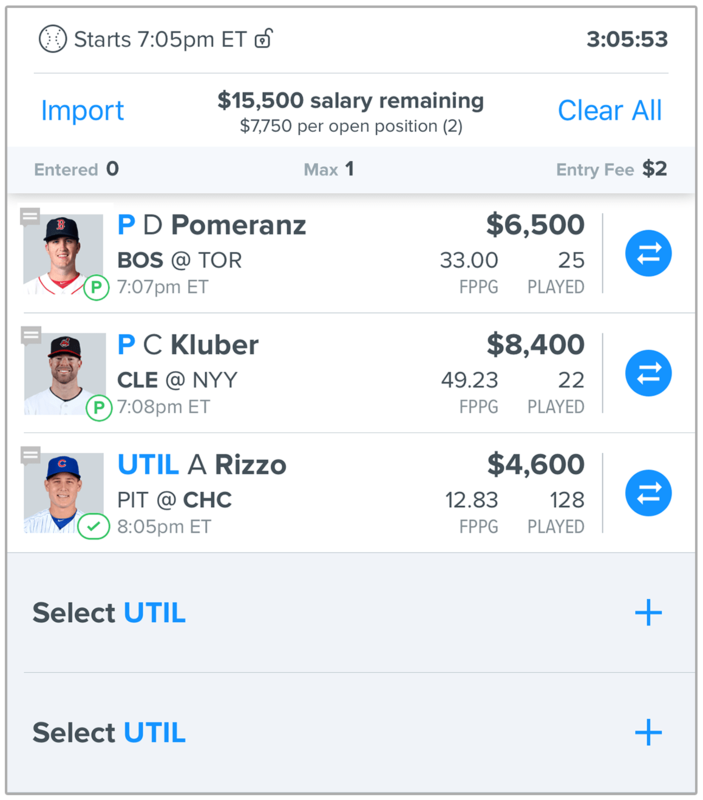 If you love FanDuel baseball, then check out MLB Mini. It’s just like NFL mini, but the rosters are two pitchers and three hitters. Just look for the MLB Mini tab in the lobby.